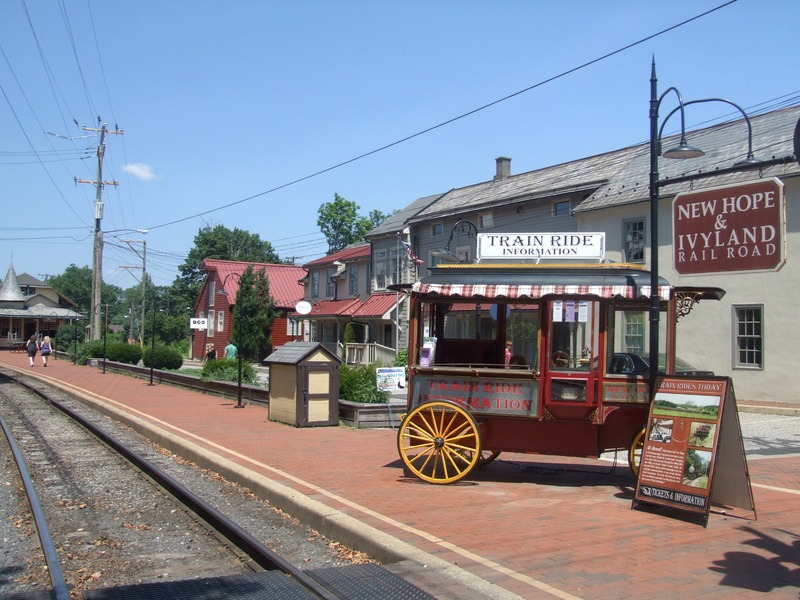 About 75 minutes North of Chester County lies a sleepy, quaint village of New Hope nestled along the Delaware River. It one of those places that makes me feel so good and if you feel a kinship with the arts, you might feel the same way. Small, hilly, tree-lined streets meander throughout this tiny boro adorned with folky artisan shops, winery, galleries, sophisticated restaurants and Victorian B&Bs. My soul renews itself as my senses take in all. Sometimes the setting is amplified by the roar of Harleys or the sound of the Ivyland railroad chugging into town. It’s all good. So grab your honey and some money to get away for the day in New Hope, Bucks County. For those of you who don’t know, I always considered Bucks County a mirror image of Chester County with it’s gorgeous authentic farmhouses and generous number of horse farms. Enjoy New Hope… it’s more than just another small town.